AR3.2 features huge sound stage and many possibilities to use. 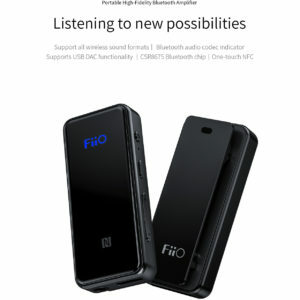 In addition to stream music wirelessly with Bluetooth, other devices can be connected to the dual audio inputs (digital USB and a 3.5mm minijack stereo). Then you can have your computer and a different audio source such as a TV or turntable, connected simultaneously. 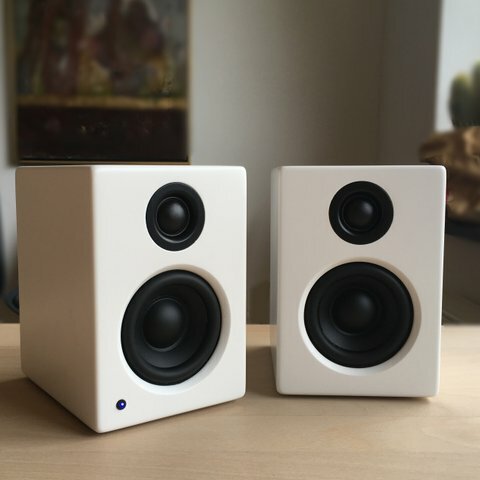 Inside the AR3.2 speakers is a high quality, 2 x 20 Watts per channel amplifier, a Bluetooth wireless receiver and a low distortion Digital to Analogue Converter (DAC) accessed via USB input. For movie lovers wishing to hear ultra-low frequency effects, there’s a separate subwoofer output to connect a subwoofer of choice. A second AUX input allows you to connect a CD, turntable or any other ‘line level’ source. 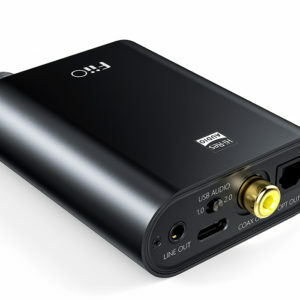 The AR3.2 is very versatile and connects to almost anything – besides playing music wirelessly with Bluetooth there are two additional inputs to connect other audio sources with cable. For even more bass there is a SUB output to connect a powered subwoofer. Apple iPhones, iPads, iPods and MAC personal computers with Bluetooth connectivity. Amazon Echo, DOT and Google Audio & Chromecast dongles and other streaming devices – through AUX input. Desktop Computers, PC labtops and Apple MAC’s – through the digital USB input. 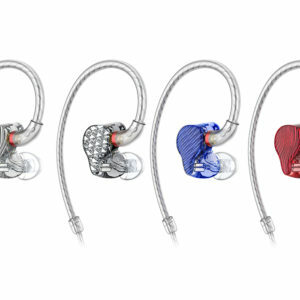 All audio electronic products with RCA stereo and 3,5mm minijack output through AUX analog 3,5mm minijack input.